The sun is out, and in just a few short weeks, the university will close down for the Christmas / New Year period. From Saturday 16 December to Sunday 7 January, most AUT facilities will be shut. Hopefully, if you’re not on any urgent deadlines, you can use those three weeks to have a real, honest-to-goodness, no-thesis-work break! If so, here are 10 fun things you can do to enjoy an Auckland summer. We’ll start with the free ones, and end with a few luxury (but still cheap-ish) options. This is the Kiwi no-brainer for a free day out. Pick your favourite beach: Piha is a classic out West, Mission Bay is gorgeous and close to the city, or try Long Bay or Takapuna on the North Shore. If you don’t mind a bit of a drive, try Goat Island for some of the best (let’s be honest, the only) snorkelling near Auckland. Bonus: the legendary Matakana markets are nearby – go on a Saturday to catch them. Total cost: $0 (but allow $5 for an ice-cream). 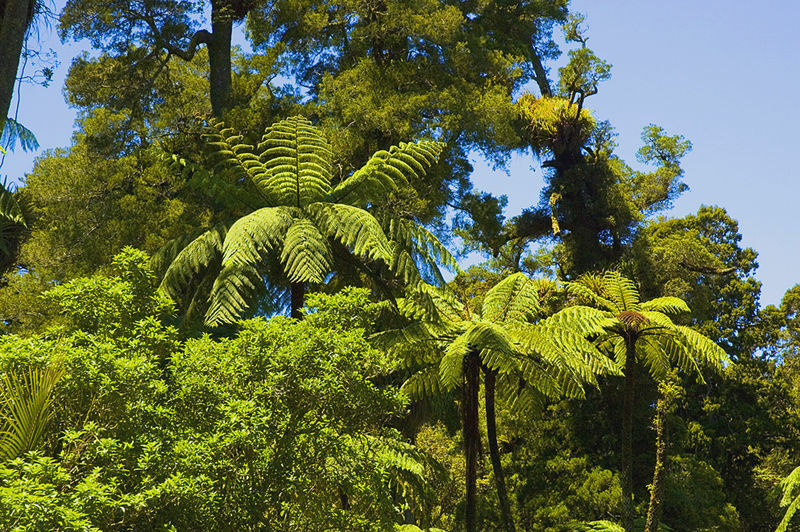 Visit the extensive forests of Waitakere Ranges in the west, or the Kauri Glen Reserve in Birkenhead. If you’re venturing further north, try Parry Kauri Park in Warkworth. Bring your walking books, a camera, and trail mix; bonus points if you can get your hands on some binoculars for a spot of bird-watching. Total cost: $0. This summer, the Auckland Botanical Gardens is hosting a Sculpture in the Gardens event. Over 20 artists have contributed pieces, and it’s completely free to explore. You can even join a guided tour for free. Bargain! Total cost: $0. The Auckland Council runs a series of free outdoor movie screenings in local parks. Starting in mid-Jan, you can choose from a broad selection of recent release, classic, Kiwi, and Hollywood movies in a variety of genres. There are some great options for family-friendly movies too. 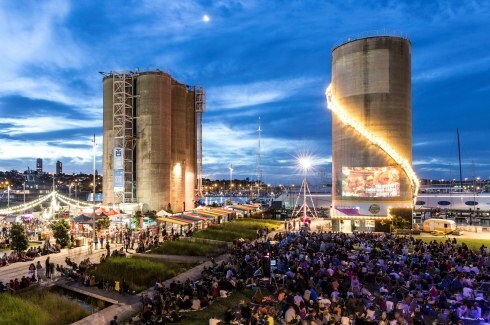 Silo Park runs a similar event called the Silo Cinema on Friday nights, with movies projected right onto an actual silo! Take a picnic and some cushions for a lovely summer date night or family evening out. Total cost: $0. The Council also runs a series of free outdoor concerts through their Music in Parks programme. The line-up for this summer hasn’t been announced yet, but it’s scheduled to start in January and usually includes a mix of jazz, classical, pop, and rock. There will probably be something to suit your taste. Total cost: $0. A drive around the Manukau Harbour will take you to the Manukau Heads Lighthouse. Climb up 120 steps to catch some of the best views in Auckland. On a clear day, you might be able to see all the way to Mt. Taranaki! Keep a close eye on the water below too, because the rare Maui’s dolphin lives in the area. Total cost: $0 (it will take a bit of petrol to get there though!). If you have kids – or just love berries – this is a fun way to enjoy the sunshine surrounded by greenery and yummy fruit. There are quite a few farms around Auckland with pick-your-own deals, so check out the ones nearest to you. Some even offer real-fruit strawberry ice-creams. 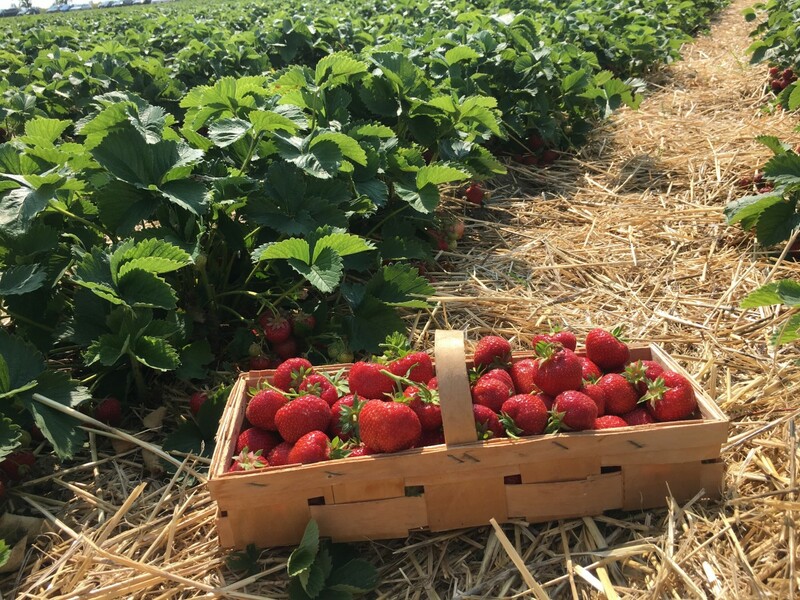 Pick your berries, and watch them get churned into glorious soft-serve. Total cost: entry is usually free or cheap (the most expensive I’ve heard of is $7.50pp). Then it just depends how many strawberries you want to buy! If you want to get moving in the great outdoors, there are plenty of options. Rent a kayak, play basketball on the public courts at Silo Park, hike one of Auckland’s walkways, go mountain biking at Woodhill bike park, try a high-wire course at Tree Adventures, or go sailing on the Auckland Harbour (there are usually discounted deals on GrabOne for yacht trips). Total cost: free for hiking or basketball; kayak/bike rentals cost about $40-50 for 2 hours; a yacht trip will cost upwards of $65. A trip to Waiheke Island can be a bit pricey, once you add up transport, tours, and food & drink; but it’s a bit more affordable if you can nab hot seat ferry tickets for $10 each way. The ferry takes about 35 mins, and from there you can walk between the ferry terminal at Matiatia, the township at Oneroa, and some of the major vineyards and beaches. My personal favourite Waiheke itinerary is a stroll uphill from the ferry to Mudbrick Vineyard, a $12 board of focaccia and olive oil and $14 glass of red by the fireplace at Archive Bar & Bistro, then a walk back to Oneroa for a dip at the beach. Top it off with a trip to Victorian Gilt, a higgledy-piggledy antiques shop stuffed full of treasures that the owner picks up on her travels (get her talking: she’s got stories). Total price: $46 including ferry tickets and bread & wine. I usually like to keep this one a closely-guarded secret, but here goes: you can luxuriate like a millionaire by picking up a day pass to the Chuan Spa rooftop pool and sauna at the Cordis Hotel (formerly the Langham). These aren’t widely advertised, so it’s rarely crowded. Passes are $40pp on a weekday ($55 on Sat/Sun), and that buys you all-day access to the pool, jacuzzi, sauna, herbal steam rooms, and snail showers. Towels are provided. It’s right near campus, and also across the road from Da Vinci’s Italian restaurant, where the pasta dishes run for just $10-13 at lunchtime. Total price: $53 for a weekday pool pass and delicious pasta lunch. OK, now try not to count the minutes until the summer break!